If you’ve had a rough week, you’ll probably revel in the videos you’ll find at the Hydraulic Press Channel. For no particular reason, the owners of this channel love smashing things large and small in a hydraulic press. There’s nothing more to it than that but the results are strangely satisfying. In this case they smashed a ball-bearing and the result was terrifying, deadly, and pretty darn fun to watch in slow motion. Don’t believe me? Check this out. They surrounded the press with a blast shield and several cylinders of ballistics gel to show how you would basically have been ripped to shreds if you’d been anywhere near this thing when it all went down. A hydraulic press uses a heavy ram and relies on the principle that some fluids cannot be compressed easily. By pumping an incompressible fluid into a small space and not letting it escape, you can create a lot of pressure fairly quickly. This technology is used for good most of the time, such as for bending metal for auto parts or creating pipes or conduits. 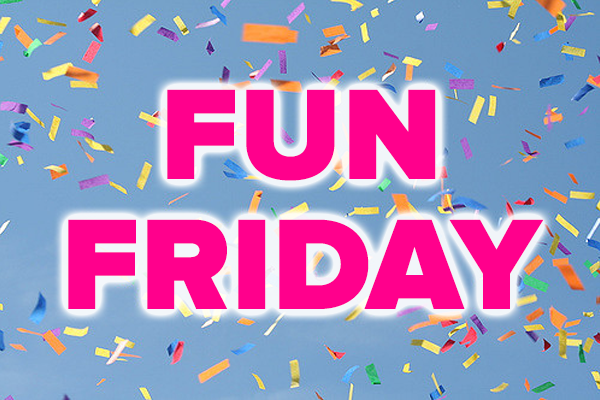 Occasionally even hydraulic press operators need a “Fun Friday,” and I suspect these videos sprung from that. Why is this so much darn fun to watch? Humans may pretend to be evolved but we’re still not too far removed from our animal ancestors. Seeing something explode and finding that we are still alive to look at it releases chemicals in our brains. In the wild, surviving a dangerous event would trigger the release of endorphins and other stress-relieving chemicals into our bloodstream. This would help us calm down now that danger has passed. In our sheltered little suburban communes those chemicals just give us a rush. After all we were never really in danger at all, were we? If you have nothing better to do on this Fun Friday, watch a bunch more of these videos. Some of them are a little anticlimactic, while some get down to the real heart of what happens when a massive amount of pressure meets something that isn’t designed to break. FUN FRIDAY: Museum of Candy?